APRIL 2019: ....:....The DIVE 670 hull is having the new tubes fitted. It is to be powered by twin ETEC 115 hp outboards. March 2019: The season is nearly here so we are preparing boats for the summer ahead. November 2018: The DIVE mould is being prepared for a series of twin engined DIVE RIBs from 7.00 to 8.00 metres. September 2018: The reduced prices on Explorer 225 tenders have been re-introduced for a limited number of boats ordered over the winter. May 2018 : The Spring Promotion for reduced price Explorer 225 tenders is now closed. February 2018: After all the really cold snowy weather, we are preparing our demostrators for launch. We are also refurbishing a 1995 boat with the fitment of a new Evinrude ETEC 115 High Output engine. September 2017: The season is coming to a close, so we are making the current demonstrators available for sale. Hence if you are looking for a SPORTS 490 or a SPORTS 560, please conract us. January 2017: Hull construction is progressing well for the SPORTS 625 for a customer in Scotland. November 2016: We are finalaising the colour schemes for a new custom SPORTS 625 for a customer in Scotland. This will be fitted with a new Gen 2 Evinrude 200hp. October 2016 The big SPORTS 650 has been sold to a customer for use in south west Ireland. 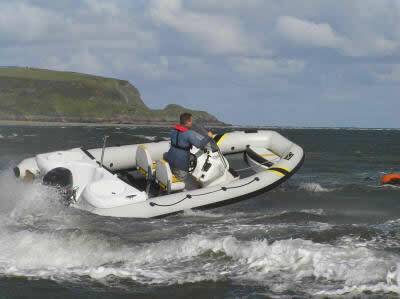 A new DIVE specification 650 RIB is under construction . September 2016: Design and development work is continuing on the new Sea Shepherd range of boats. August 2016: Explorer Marine has demonstrators for sale ready to build new boats for next season. Hence we can offer good prices on the used boats, with new or used engines. See the SALE ITEMS page under the SERVICES button. Our design principles are not necessarily to follow the industry trends, but to develop innovative features, some individually developed for one customer, which provide valuable customer benefits. 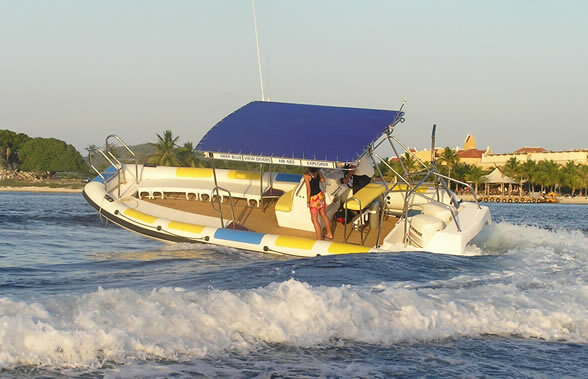 Explorer boats thus provide amazing stability, dynamically or at rest, yet complete the task for which they were designed, even at speeds up to 60 mph. The Explorer Marine offices are at Cullompton in Devon and the main manufacturing workshops are near Rock in Cornwall. The office there overlooks the North Cornwall coast, which allows us to view the sea conditions, giving the opportunity for boat trials in the calmer Camel estuary at Rock and Padstow, or out past the Doom Bar to the more challenging Atlantic waters off the rugged North Cornwall coast. 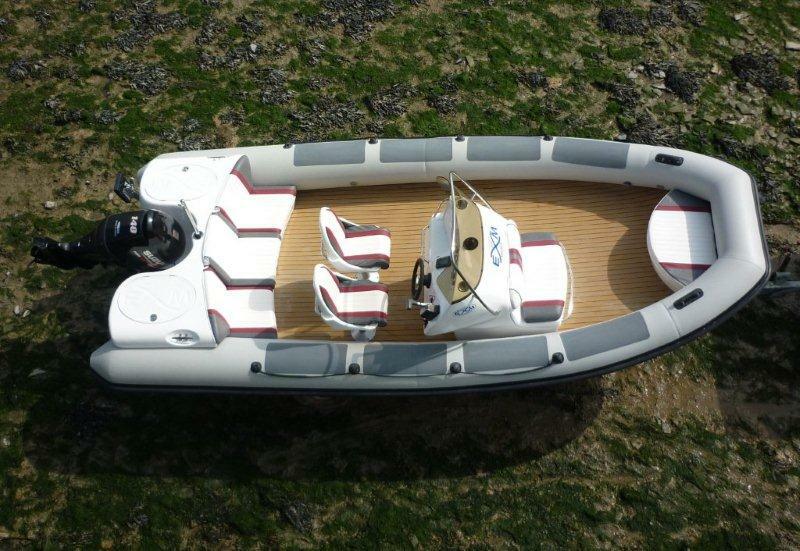 Explorer Marine RIBs start at 4.0 metres and range in size up to the top DIVE and XTREME and WORKBOAT models at over 10 metres. All share the distinctively flared bow which reduces spray, whilst the broad beam - many models are available in an extra wide version - gives amazing stability and handling. 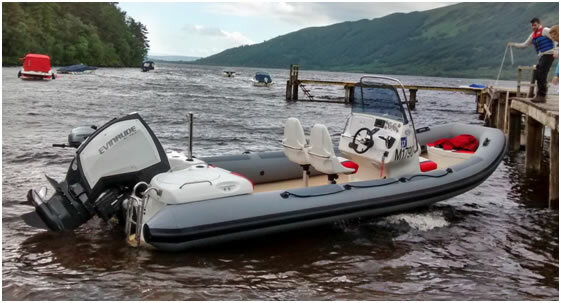 Explorer Marine also supply GRP and polypropylene tenders and rowing boats from 2.25 to 3.0 metres. 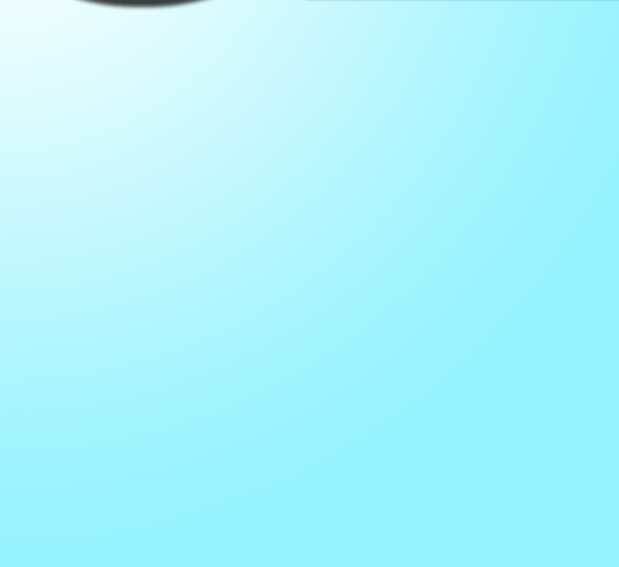 Browse through this website using the buttons at the top of all pages, and then use the buttons on the left of each page, to learn a little about our products so that you can specify the boat of your dreams. 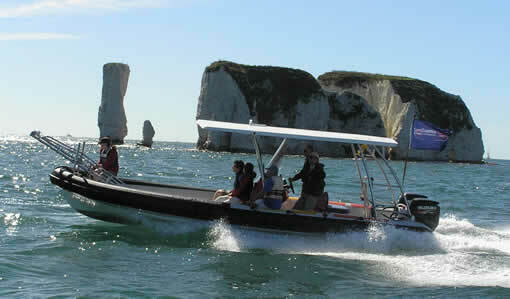 or email us on info@explorermarine.co.uk.